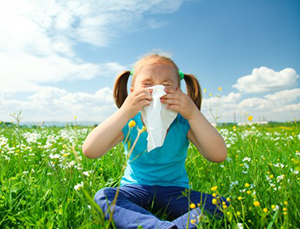 Every state has allergens that cause people to feel the impact of seasonal allergies. However, these states are ranked as the worst states to live in for allergy sufferers based on pollen levels, amount of the population on allergy medications and the number of ENT doctors in the area. Red River ENT Associates is located in the heart of Central Louisiana in Alexandria, where individuals who have allergies, suffer the worst. Thankfully, our highly trained physicians specialize in allergy and sinus treatments such as Balloon Sinuplasty. To request a consultation with one of our ENT and Allergy Specialists, call (318) 321-5455 or request an appointment online. Louisiana is home to a number of trees that pollinate, including red cedar, willow, bayberry, birch, oak and ash. Spring allergy season is worse than fall allergy season in Tennessee due to mold spores, weed and grass pollens. Nasal allergy symptoms can be intensified by asthma and eczema. Treating those conditions first will relieve the symptoms of nasal allergies. If congestion is your main symptom, making a home nasal spray can help a lot. You can also purchase saline nasal sprays over-the-counter at any drug store. Medications such as antihistamines and decongestants can be prescribed by an ENT doctor to manage nasal allergies. Allergy shots aren’t used often. Usually, immunotherapy is only a solution for people who have tried to control nasal allergies through medications. Consult with one of our specialists at Red River ENT Associates in Alexandria, LA for more information on treating nasal allergies. Dr. Renick Webb was recently a guest on New Channel 5 which covers Central Louisiana, where he discussed chronic sinus infections also known as sinusitis. Dr. Renick Webb discusses the new treatment option being offered at Red River ENT Associates, known as Balloon Sinuplasty. This non-invasive treatment for sinusitis is generally done in-office with topical anesthesia. Unlike traditional surgery, tissue and bone is not removed but is only moved to allow the sinuses to drain the infection. Typically patients are treated with antibiotics, nasal steroids, steroids by mouth and sometimes allergy treatments. However, for patients who these treatments fail to cure completely, Balloon Sinuplasty can offer relief where patients did not have relief before. Balloon Sinuplasty is a new minimally invasive procedure being offered at Red River ENT Associates treat chronic sinusitis in central Louisiana. It is an in office procedure given to patients that have had failed medical therapy. A typical day of the procedure includes having someone drive you to the office and sometimes taking a relaxing medicine such as Ativan or a pain tablet. The nose is then decongested and topically numbed. An endoscope is then used to assist a light guided catheter which is advanced into the sinus being treated that day. A “balloon” is then passed over the wire, into the narrow portion blocking the sinus from draining appropriately and is dilated. Once dilated, it can be irrigated so that all of the mucous, infection and drainage can be evacuated from the sinus. The goal is that once the balloon is removed, you will have a wider drainage pathway to your sinus so that when you experience allergies or a cold, it does not transition into a sinus infection which will require steroids and antibiotics. How Long Until a Patient Can Return to Regular Activity After Balloon Sinuplasty Treatment? Dr Renick Webb states that generally patients can resume regularly activity the very next day. For intense activity or exercise Dr. Renick Webb recommends waiting 48 to 72 hours. Can Children Suffering from Sinusitis Receive Treatment? Pediatric sinusitis is also treatable using balloon sinuplasty while in the OR under general anesthesia. Children as young as two years old have received treatment, without causing scar tissue. Each Year Sinusitis Can Get Worse, But It Doesn’t Have To! If you suffer from recurring sinus pressure, sinus pain or sinus headaches, contact Dr. Paul Guillory at Red River ENT Associates at (318) 321-5455 to request an appointment with one of our ENT sinus specialists. Sinusitis is a common condition that involves chronic inflammation and infection of the sinuses. This can lead to a wide variety of symptoms like headaches, face pain, sneezing, and pressure in the face and nose. Those with chronic sinusitis find themselves depending on over-the-counter medications, steroids, and antibiotics to treat the condition. However, this is only a temporary fix, and in most cases, sinusitis will come back again and again. It used to be that the only option that patients had in order to be permanently rid of their sinus condition would be invasive surgery. The surgeon would need to directly access the sinus area and would have to remove both tissue and bone. The result is possible scarring, pain, blood loss and chance of infection. It is a procedure that requires a longer recovery time and is not always successful. A newer, minimally invasive option called balloon sinuplasty, uses a small catheter to place a balloon in the sinus cavity to then expand the area for a permanent fix. Because so many people have never heard of balloon sinuplasty, they may have numerous questions about the procedure. Below are the three most common questions about this procedure and what it will mean for the patient. How Do Doctors Perform Balloon Sinuplasty? This method uses a balloon. A catheter is threaded through the nose to the sinus cavities. Then a very small balloon is slowly inflated to expand and unblock the sinus cavity. The procedure takes about an hour to finish and does not involve any incisions, blood loss, or damage to the skin and tissue. Is Balloon Sinuplasty a Permanent Fix? Generally, the reason for chronic sinusitis is the bone and tissue surrounding the sinus cavity. If this tissue is encroaching, the cavity could be blocked, making it extremely difficult to stay clear. During this procedure, the balloon is slowly inflated. The result is a gradual, and non-damaging, moving and repositioning of that tissue and bone. This allows the surrounding tissue to be permanently moved. Unlike medications that just treat the symptoms, balloon sinuplasty permanently solves the problem that caused the condition. Can Any Physician Perform the Procedure? No. 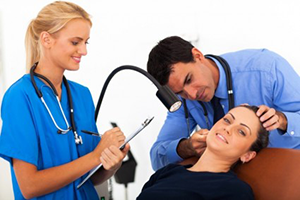 Surgeons who specialize in the Ear, Nose and Throat (ENT) must undergo further training. This treatment is not available from standard physicians, and not all ENTs are trained. Since it is a new treatment, it requires extensive training and certification first. The physicians at Red River ENT Associates are all specially trained to perform the Balloon Sinuplasty procedure. 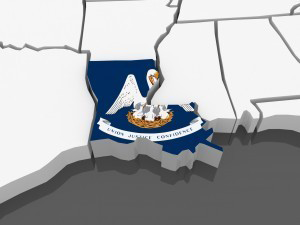 To request an appointment with one of our physicians contact our office at (318) 321-5455. Swallowing is so simple to a majority of people. However, an estimated 15 million people in the United States suffer from Dysphagia, or trouble swallowing. What are the Kinds of Dysphagia? Exercises for swallowing muscles. These often include retraining muscles to work together to help you swallow. Changing your diet. Your doctor may give you specific foods you are able to eat that make swallowing easier. Medicines. If your dysphagia is related to GERD or heartburn, your doctor may prescribe medication to help prevent stomach acid from entering the esophagus. If you believe you may have dysphagia, consult an ENT. Everybody has dealt with the pain and discomfort caused by ear infections. Though ear infections are harmless a majority of the time, it’s important to have all the facts to properly diagnose and treat ear infections. How Does an Ear Infection Start? More often than not, ear infections affect the middle ear where the eusthachian tubes connect to the back of your nose to your ears. During an ear infection, these small tubes become blocked, causing a build-up in the middle of the ear. If you suspect you may have an ear infection, consult your physician. A recent poll of parents found that over 80% say they are concerned that misuse of personal audio technology is damaging the hearing of children. Hearing loss can result from too much exposure to sound from any source that is above 85 decibels. Hearing loss can be either a sudden or a gradual decrease in your ability to hear. Depending on the cause it can either be mild or severe and temporary or permanent. Many individuals who have hearing loss may not even realize it because it happens gradually over time. Many new technologies such as stereo systems, handheld listening devices and even televisions can produce sound well above the level to be able to cause damage. Feeling as if your ear is plugged, similar to having water in your ear. Difficulty listening to things in your environment such as individuals speaking, a radio or television.If you notice that you tend to listen to the television or a stereo at a higher volume then you previously used to. Tinnitus (ringing of the ears), any uncomfortable feelings from irritation to severe pain, symptoms of Vertigo (feelings as if your surroundings are spinning). 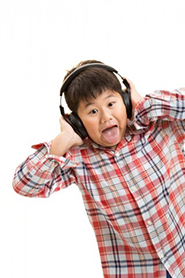 Avoid loud noises in your environment such as motorcycles, loud music, or industrial machines. When you cannot avoid loud noises in your environment, make sure to wear hearing protection. Lower the volume of what you listen to.Limit the amount of time that you spend listening to music or television. Wear headphones that go completely around or deep inside the ear in order to limit outside noise. By limiting outside sounds it will reduce the need to increase the volume of what you are listening to. Everyone has gotten a headache at some point in their lives. However, do you know what kind of headache you’ve had? It’s important to get the proper diagnosis for sinus headaches so you can properly treat the problem. These symptoms are often intensified by damp, cold weather if it’s a sinus headache. The most important thing to keep in mind when looking to treat sinus headaches is to figure out what is causing it. Is it caused by allergies? Congestion? Try a Nasal Spray – Nasal sprays can reduce swelling and relieve sinus congestion for sinus headaches that are caused by infection or allergies. Antibiotics – If the sinus infection is caused by infection, antibiotics can treat the problem. Sinus Surgery – There are sinus surgery options to open the blockage, therefore reducing the amount of sinus headaches. If you think you suffer from sinus headaches, consult one of the physicians at Red River ENT Associates.